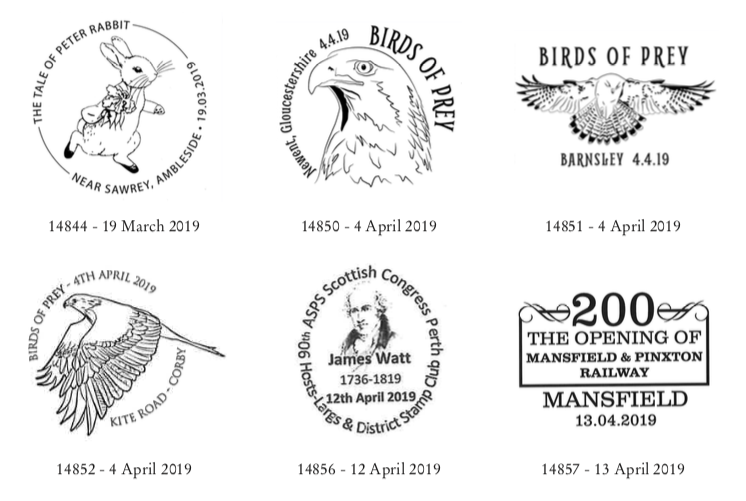 Royal Mail have now opened their shop up for orders for the 4 April Birds of Prey stamps, so I have no problem with showing them here. 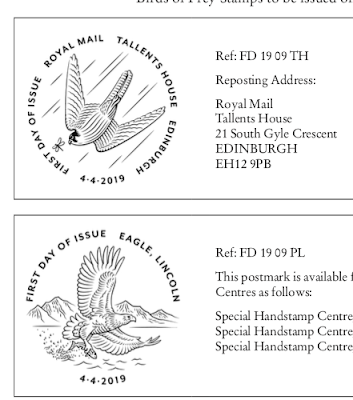 The set is of 10 x 1st class stamps, and there is also a retail booklet containing two self-adhesive birds stamps and 4 x 1st class MCIL M19L stamps. Click on the lower-right image to show the identities of all the birds. The Royal Mail Postmark Bulletin for this issue has been posted but has not yet been added to the website. 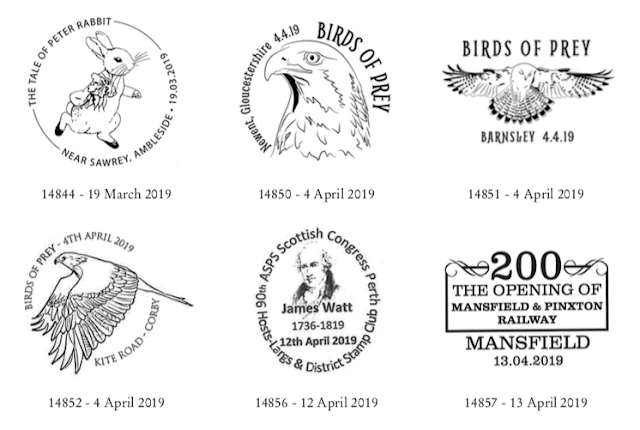 We've reminded them (a) that handstamps are supposed to be added to the website as available, and (b) that the Bulletin should also be updated. I've also asked via Twitter when this will be done - no reply at all. So here are the handstamps; they are screen captures for my benefit so take them as they come. 14853/4 & FD1909PL are available from London SHC, 14850-2 and both FD1909 are available from Northern SHC/Tallents House, addresses in previous Bulletins. The non-pictorial FD1909NP is not shown here. Royal Mail only use the Europa logo when they want to, despite being part of the organisation. I don't know if it was ever adopted officially though. Does anyone know where on their website Royal Mail are hiding the postmarks for this issue? The page I can see has not been updated since the Marvel issue. Added here now, thanks for the reminder of their tardiness! Thankyou, my bulletin arrived by post later in the day! Sorry to keep on about this but I thought you might be interested in the reply I had from Royal Mail when I contacted them, I think my message and the response speak for themselves! Question not answered! Needless to say I have pointed out their 'error' and suggested that somebody senior read your blog and note the comments from other collectors about the declining service. 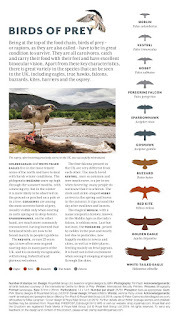 Please can you tell me when the postmarks for the Birds of Prey issue will be posted on the website. It is now Tuesday and the stamps are issued on Thursday. Some clearly exist as they are already shown on dealers websites. Thank you for contacting Royal Mail Stamps & Collectibles. Please accept my apologies for the delay in my reply.